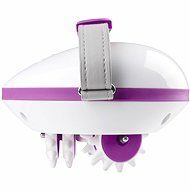 The MEDISANA MNV massage device provides a targeted and intense massage to keep you calm and relaxed. 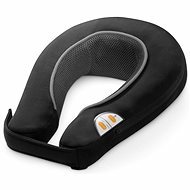 It has an integrated control panel to adjust between two levels of vibration massage for the neck and shoulders. 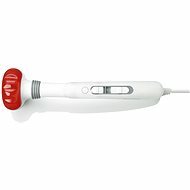 The massage can be further enhanced by a red light and heating function. The MEDISANA MNV is a very compact, so it is easy to store and carry. It is powered by a 230V adapter. For shipping to other EU countries visit this page Medisana MNV. Für Versand nach Deutschland, besuchen Sie bitte Medisana MNV. Chcete doručit zboží do Česka? Prohlédněte si Medisana MNV. Chcete doručiť tovar na Slovensko? Prezrite si Medisana MNV. Für Versand nach Österreich, besuchen Sie bitte Medisana MNV. Magyarországra történő kiszállításért tekintse meg ezt a termékoldalt: Medisana MNV 88941 Nyakmasszírozó.